Enjoy the mountains, real wilderness and a breathtaking view of the Bernese Oberland on Mount Schilthorn, which became famous around the world thanks to the James Bond film «On Her Majesty’s Secret Service». You can be up on the Schilthorn (2970 m) in just 32 minutes from Stechelberg (864 m). 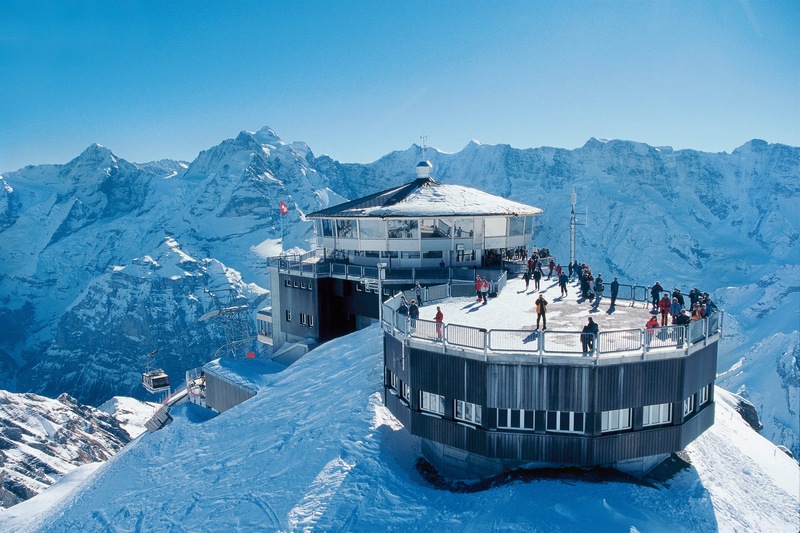 In our revolving restaurant, we can offer a large A-la-carte menu, our famous James Bond breakfast and the best view over Eiger, Mönch and Jungfrau. You can also combine a trip up the Schilthorn with a walk through the panoramic spa resort of Mürren (with no cars), a trip on the funicular railway to the Allmendhubel and a visit to the Trümmelbach glacier waterfalls in Stechelberg.